Just over two weeks later, on 5 May, Albemarle, accompanied by the steamers Cotton Plant and Bombshell, steamed out into the North Carolina Sounds and attacked another U.S. Navy force, consisting of the "Double-ender" gunboats Sassacus, Wyalusing and Mattabesett, converted ferryboat Commodore Hull and small gunboat Ceres. Though Sassacus made a valiant attempt to sink the Albemarle by ramming, she was badly damaged in return. 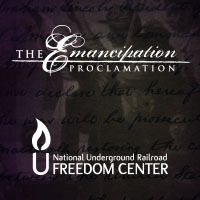 The Confederate ironclad was but lightly damaged in the engagement, which threatened the entire Union position on North Carolina's internal waters. 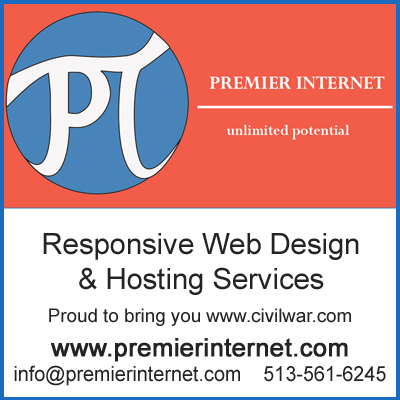 Desperate circumstances yield desperate responses, and on the night of 27-28 October 1864, Lieutenant William B. Cushing, USN, took the torpedo boat Picket Boat Number One upriver to Plymouth and bravely attacked Albemarle at her berth, sinking her with a spar torpedo. 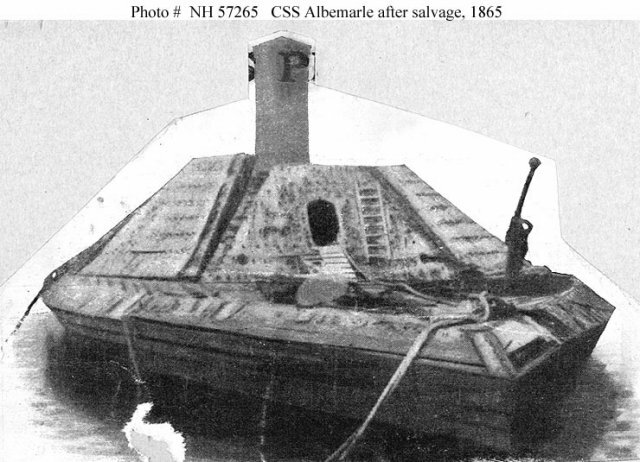 Following the Union recapture of the town, Albemarle was refloated. 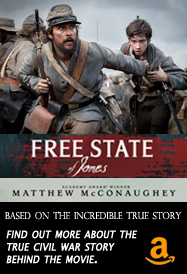 Taken to the Norfolk Navy Yard in April 1865, she remained there until sold in October 1867. 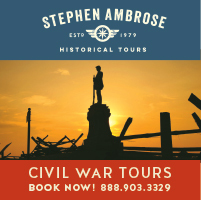 This page features views of CSS Albemarle and provides links to images of that ship's actions, plans and artifacts. 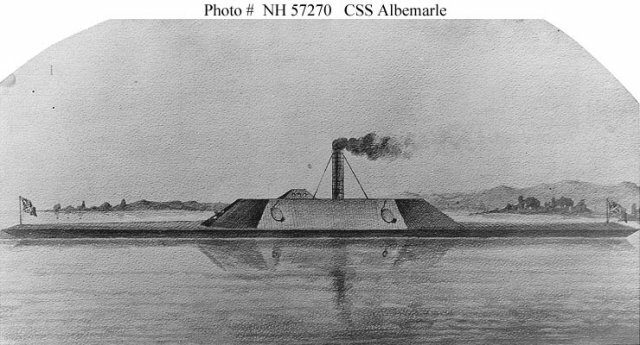 CSS Albemarle (1864-1864) -- Plans and Artifacts. 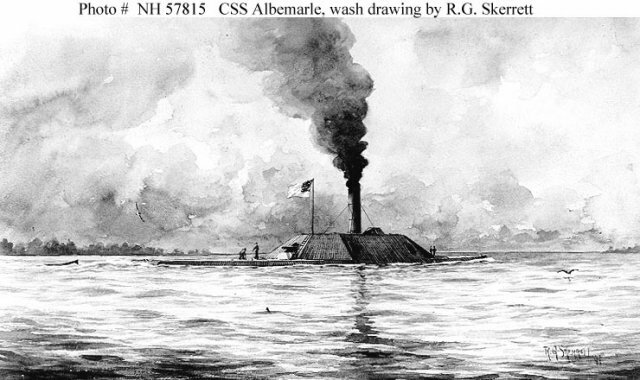 For the text of Lt. Cushing's report on his attack on the Albemarle, see: "Destruction of CSS Albemarle" in the "Selected Naval Documents: Civil War" section of the Naval Historical Center's WebSite. Sepia wash drawing by R.G. Skerrett, 1899. 19th Century engraving of the ship as she appeared "ready for action". 19th Century photographic reproduction of an artwork. 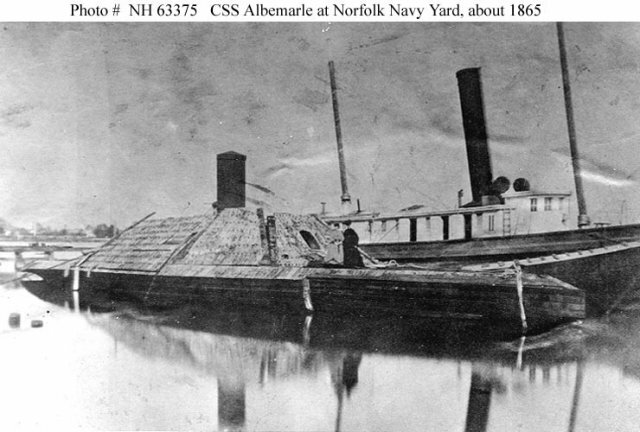 At the Norfolk Navy Yard, Virginia, after salvage, circa 1865. Two ladies are standing on her deck, near a section of displaced casemate armor. Courtesy of Mr. J.C. Hanscom. Halftone reproduction of a photograph taken after the ship was salvaged, 1865. Donation of Rear Admiral Ammen C. Farenholt, 1938.